Encouraging your child to read during the hot summer months can be a chore for many parents, while others find it difficult to keep on top of their children's thirst for books. Whether your child is a reluctant reader or a reading pro, encouraging them to join a summer reading club will help keep them busy – and keep you happy as well! What is a Reading Club? Many libraries, community centres and other holiday schemes offer summer reading clubs. The idea is to encourage children to read through offering a host of different activities, including reading marathons, book discussion groups, author events and colouring contests. Reading clubs often are open for children of any age and ability, whether they are just learning how to read, or are already confident readers. Most clubs offer prizes when kids reach a specific goal, either completing a certain number of pages or books. The aim is to make reading fun, and to encourage children, through a variety of ways, to keep them interested in books long after the summer is over. Depending on your library, the reading club will sponsor activities throughout the summer to pique your child's interest. Sometimes this can be a weekly motivational get-together, or it can be a pizza party at the end of the summer for all children who have reached their own individual goal. As a parent, you will have to offer encouragement, praise and perhaps even a treat or two as well. Give them a feeling of pride when they read a certain number of books and encourage them to read even more. Help them choose books that are of interest to them and help develop their interests further. Allow them the opportunity to discuss books they like with other children as well as adults, and to learn from other readers' recommendations. Teach them how to choose books that are of interest to them specifically, and may help them realise that there are books out there that they will actually enjoy reading. Encourage them to practice their reading skills, so that eventually reading will become less of a chore and more of a pleasure. Motivate them to read more thanks to a combination of positive verbal reinforcement and the feeling of accomplishment they will get when they receive certificates etc. Start by making a reading booklet for each child to keep track of their reading. This can be done with a simple notebook, with spaces for the book's title, author, number of pages and start/completion date. Have them read at least 15 minutes a day, depending on their age, interest and ability. 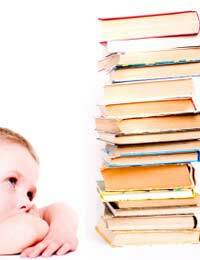 Younger children who can't yet read can be read to during that time. Reward them for their daily reading with a sticker in their book. At the end of the summer, children who have reached their goal – read a certain number of books, a certain number of days etc – get a prize, be it a special trip somewhere, a medal etc. If your child is a very good reader, they can prepare either written or oral book reports after the completion of every book to show you what the books is about, why they enjoyed it, how it could have been better etc. Joining a summer reading club is a fun summer activity that your children will not only enjoy, but will also find has far-reaching benefits when they go back to school. A summer spent enjoying good books can have a tremendous impact on a child's future learning. It's never too early to start!